Catalonia has been fighting for independence from Spain for years, but last month held an Independence Referendum in which the majority of Catalans voting backed secession. Now, Spain's Prime Minister Mariano Rajoy announced today that he plans to remove Catalonia's president and separatist leader, Carles Puigdemont, from office to stop their secession, per NYT. What's next: The Spanish government will move to invoke Article 155 of their constitution, which has never been used before, and would allow them to stop any regional government from ruling in any of Spain's 17 autonomous regions (like Catalonia). The Article specifically allows for the Spanish government to "adopt the measures necessary to oblige that [region] to forcibly comply with said duties or to protect the aforementioned general interest" of Spain. What they're saying: "We've done this the right way: we've worked peacefully, we've organized, we've demonstrated in the millions in a peaceful manner, and we've sat down and tried to negotiate," said a representative of the Catalonia government. He added that "none of us expected the extraordinary lengths" that the Spanish government would go to stop the region from seceding. But Rajoy maintains the referendum (where 92% of those voting backed independence, though turnout was 43%) was unconstitutional and will now move to take control of Catalonia. The day before the Independence Referendum, the Catalonia government rep told me of the "flimsy justifications" Spanish authorities were using to stop the vote from even taking place — they demanded a shutdown of any Catalan website with mentions of the Independence Referendum, threatened members of the press who reported on it, removed millions of paper ballots, arrested at least 14 Catalan government officials, and sent in hundreds of civil guards in riot gear to Catalans' protests. Why this matters: With so much political chaos happening in the U.S., it can be easy to overlook what's happening in a relatively small region like Catalonia. But "it's a model for peaceful change that we should pay attention to rather than ignore," the representative said. And Catalonia is a case study in what a years-long effort for progressivism and independence looks like when democracy is stifled. "There has been a long road of attempted negotiation and Catalonia has been forced to do this [referendum] a result of Madrid's unwillingness to even discuss Catalonia's grievances," said the rep. 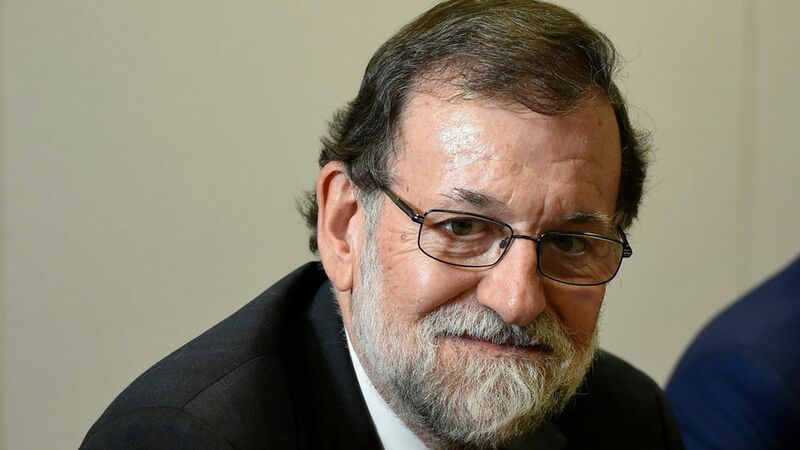 The Spanish government is ending "a unilateral process, contrary to the law and searching for confrontation," Rajoy said, per NYT, because "no government of any democratic country can accept that the law be violated, ignored and changed." Spain's Constitutional Court has always said that Catalonia's Independence Referendum is illegal, but Puigdemont was determined to go through with it anyway. The vote wasn't just symbolic. The Catalonia Government representative said it would show the Spanish government that Catalans "have legitimately made every effort to negotiate within the constitution, and now international law and law regarding self-determination gives us that ability to hold this vote and make it binding."